Brian Camenzuli grew up in Port Perry, Ontario and has always been fascinated with the natural environment and how it works. In the summers growing up, he spent time stacking hay or tending to livestock at a nearby farm, which gave him a greater appreciation for the outdoors and helped influence his educational decisions. He decided to take an introductory technology course in high school where he was introduced to 3D design software. Throughout this time he created basic 3D models of various items, such as guitars and skateboards, and at age 17 became a youth member of the Durham Environmental Advisory Committee. 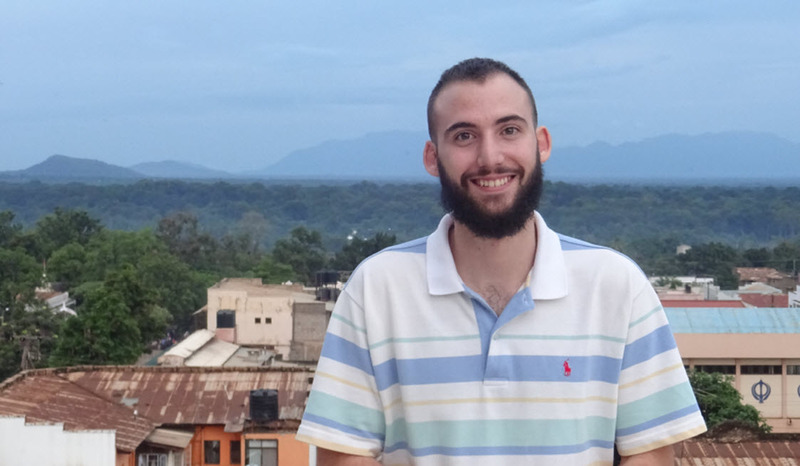 Shortly afterwards he started his degree in environmental engineering at the University of Guelph where he began to learn about environment systems and how they work. During this time he familiarized himself with technology and how it can be utilized to solve a wide variety of problems. 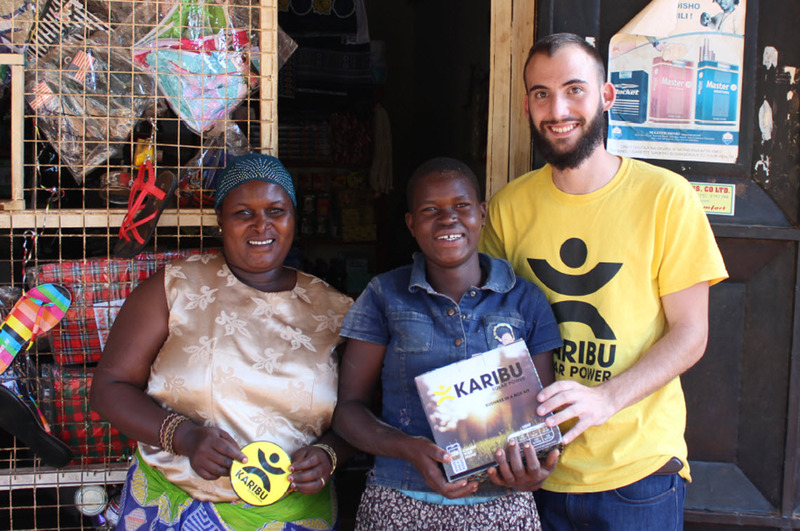 Brian's company, KARIBU Solar Power, is a member of the Autodesk Entrepreneur Impact Program. Tell us about yourself and your journey from being an environmental engineering student at University of Guelph in Ontario, Canada to the Vice President of Design and Engineering of KARIBU Solar Power? While working towards my undergraduate degree, I began to realize how lucky I was to live in the developed world, and started looking into the various issues facing the underprivileged. It was difficult for me to fathom some of the harsh realities and conditions people in the developing world face every day, however, this provided an opportunity to change lives and improve life. The use of kerosene lamps for lighting seemed to be a problem that affected hundreds of millions of individuals worldwide, due to the adverse health effects and the poor quality of light. I figured there might be a way to disrupt the dependency on fossil fuels for lighting and to transition kerosene users to solar powered lighting. Working in a small team of entrepreneurs we developed a business model that replicated the payment system of kerosene and had the potential to upgrade kerosene users to safe lighting. Using 3D design software, I developed a modular solar powered lamp that could be sold to a shop owner, allowing them to micro-franchise solar light recharges to an end consumer. Once I decided to focus on social entrepreneurship I attended a 10-week conscious company accelerator in Seattle, Washington called Fledge, where I expanded my network and learned about running a startup. My company became a member of the Autodesk Clean Tech Partnership Program (now the Autodesk Entrepreneur Impact Program) in 2014, and after 3D printing prototypes, performing product iterations, and coordinating manufacturing, this product was applied to the East African market in Tanzania. What inspired you to create and launch KARIBU Solar Power? It was a combination of timing and interest that sparked the decision to start KARIBU Solar Power. With renewable energy gaining considerable popularity, the opportunity to bring clean technology to new markets around the world was difficult to pass up. Our team had the skills to get it started, and we developed the ability to make it happen. What’s your design process like? How are you using design thinking in your process to address the needs of your customer and facilitate a global enterprise? The design process I use involves defining the problem, providing several solutions, then looking into what works best. My product was designed around the problem of unaffordable and unsafe lighting, and in the design process I looked at how existing solutions are used, such as kerosene and wood fires. I found out that a few hours of lighting after dark outweighed the associated long-term health effects of burning these fuels indoors. I also realized that removing the barriers that prevent the adoption of safe light was essential, and the idea to replace kerosene refill payments with safe lighting recharges was made. Next, I determined the user's needs, constructed a rough idea and further refined it to incorporate the three pillars of sustainability; maximize social benefit, create economic feasibility, and minimize environmental impact. I would like to think my strongest skill is my ability to take an idea that I have in my mind and translate it into the 3D world. I have been lucky enough to have had access to computer modeling software for over ten years and during this time my proficiency has improved and I have learned how to make use of the product features to my advantage. Helping other classmates with their design challenges has improved my ability to problem solve and diversified my skillset. How does the use of Fusion 360 influence your designs and design process? Fusion 360 has helped me look at my design from new perspectives. The Create Form operations allow me to shape my designs with more organic curves and with new styles that I could not previously do. Also, the compatibility with Autodesk 360 has allowed me to work on projects in real time with other designers, enhancing communication and getting things done faster. It helps me transition the first design to the next design in a more efficient way. 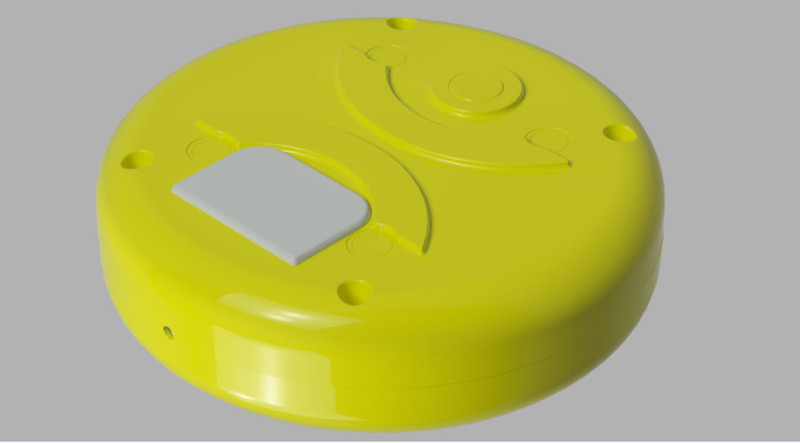 Fusion 360 render of the Karibou solar power puck. What are some of the trends you are seeing in the design of power generating products like KARIBU Solar Power? There are many different types of products currently being used in East Africa, and often quality is not always seen as an important consideration to the buyer. The low cost of cheap goods makes them affordable to purchase, however the lifetime of these products is sometimes only a few months or even weeks. Creating a reliable product is important, as the customer benefits in the long run and can generate a lasting value. One trend I have noticed is that in the design of power generating products, simplicity is emphasized to ensure the product is used and maintained properly by the user. Also, I have noticed some people will prefer to buy a large lead-acid battery over a more compact battery with the same capacity, simply because it is bigger and weighs more. This shows that the size of a product is commonly associated with its value, as opposed to its function. Gaining feedback from customers helps to identify and understand the needs of the market in both branding and product use. Connecting with community to solve problems, create value and realize opportunities. Based on your experiences with KARIBU Solar Power, what advice would you share with emerging designers and students interested in design and entrepreneurship? There will always be a need for critical thinkers and designers to come up with different ways to improve existing systems and solve new problems. My advice to emerging designers is to write down your ideas frequently and never stop looking at the big picture. Often the tools are in front of us to think, create, design, test, and iterate. It is easy to think your ideas have been done before, but it doesn’t matter if someone else has thought of it before, it only matters if you have proven to yourself that it is a good idea. Share some ideas and designs with peers, often there is more to be gained than lost. My advice to students interested in entrepreneurship is to use your local resources to the fullest and don't be afraid to reach out, you never know where a simple conversation can take you. Look for ways to create value, solve problems and realize opportunities. Find out what really interests you, and remember you can always change what you are doing. Entrepreneurship is not for everyone, though. You must have the drive to work irregular hours during the day and dedicate some evenings and weekends to furthering your progress. Being your own boss means you get out of it what you put into it. The results can be remarkable, especially if you surround yourself with people who share similar aspirations. Identify your unique skills and build your team to compliment each other’s strengths and weaknesses. Most of all, don't be afraid to ask for help. You will be amazed at how many people are there to provide you with support and recommend new people to reach out to.